Well, I had great intentions of blogging everyday last year….. however I fell by the wayside somewhat and as the days stretched into weeks and then into months the whole project seemed to be too daunting. So here I am, New Year new intentions. If I miss a day or a week I’m not going to beat myself up about it. The picture above is one of my favourites from 2011. 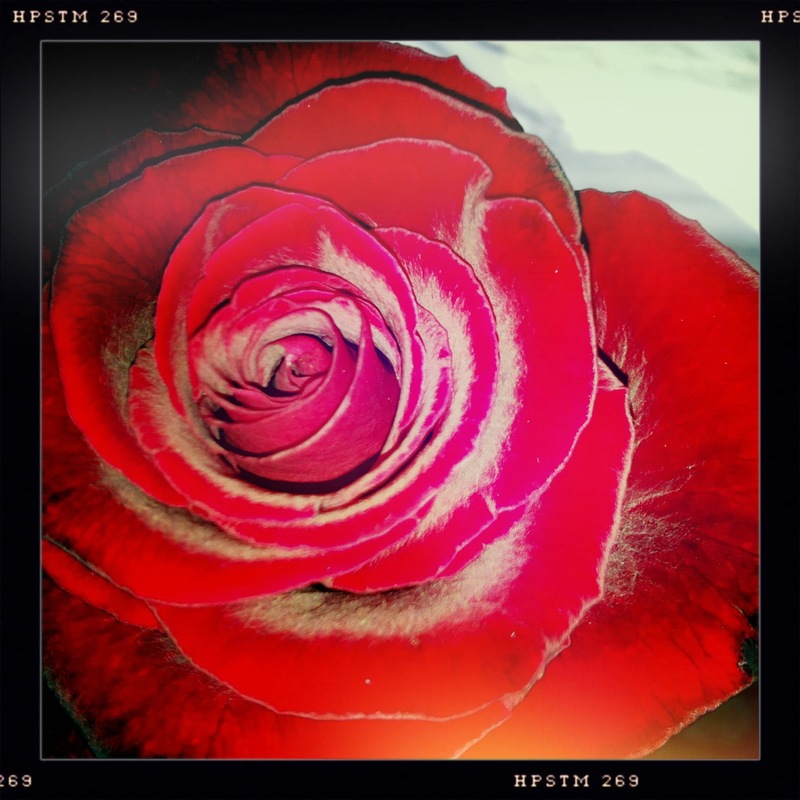 My lovely husband smuggled a rose into my studio on Valentines day, it was such a rare occurrence that I took lots of photos to record the event. I took the picture with my i-phone and the Hipstamatic app. I think it is truly beautiful. Well we are now into February and I’m still finding things to blog about. Thank you for all your love and support.